Manfred Moelgg ended his seven-year wait for victory in the FIS Alpine Skiing World Cup as he mastered the conditions to win by seven tenths in Thursday's slalom race in Zagreb. Moelgg - who last won in 2009 - was nearly four tenths behind Manuel Feller after the opening run in Croatia on Thursday, but found more pace later in the day to secure a surprise win. As heavy winds battered the piste in the Croatian capital many fell by the way side, but Moelgg was able to maintain his pace and finish in a winning time of a fraction over two minutes (2:00.03). His superb second run meant Felix Neureuther (+0.72secs) had to settle for second, with Norway's Henrik Kristoffersen (+0.77secs) completing the podium places. 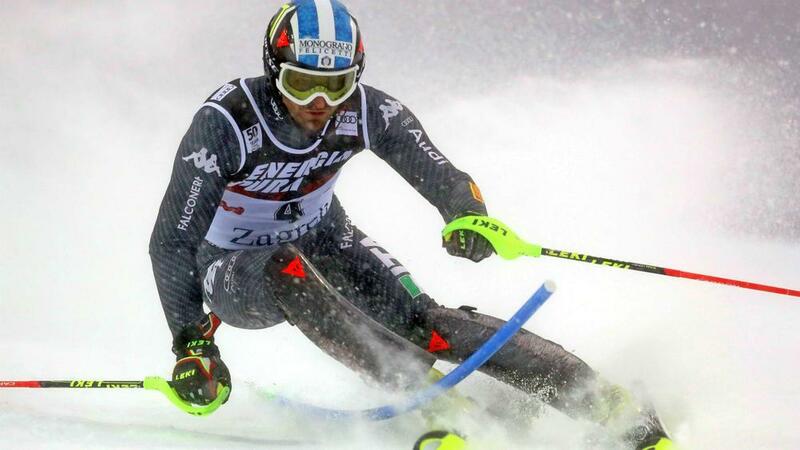 Five-time and reigning overall champion Marcel Hirscher was unable to get close as he settled for sixth, while Feller's hopes ended at the top of his second run. The Austrian stood on the brink of a first World Cup win after a dazzling opening attempt, but after two gates of his second it was all over as the 24-year-old lost his balance, missing the gate and failing to finish the course. Feller was not alone in failing to convert an impressive start into a good finish. Julien Lizeroux and Mark Engel were closest to him after the opening run, but the former was well down at the conclusion of the event, while Engel also crashed out and failed to finish. Moelgg's compatriot Stefano Gross had set the early target on the second run before Dave Ryding and Michael Matt went faster. When Neureuther went over a second faster he looked on course for a first win of the season, but Moelgg had other ideas to claim his third career World Cup win.